ESPN, the global television network majority owned by Walt Disney, together with Turkish Airlines, have announced an innovative production partnership and multi-platform sponsorship deal. 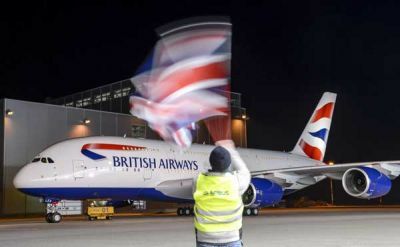 Seen as support and a show of confidence for Boeing, a long time aircraft supplier, during a difficult period, British Airways has firmed up an option for 18 787 Dreamliners. The long haul aircraft would replace some of BA's current fleet of Boeing 747-400s between 2017 and 2021. 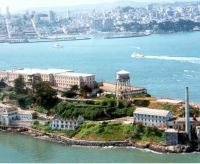 Today (8 April) Scandinavian Airlines (SAS) is launching a new six times a week route from Copenhagen to San Francisco with easy connections from London. Flight time is 11hrs 20mins and the Copenhagen departure is 12:35 allowing easy connections from mainland European and UK points. 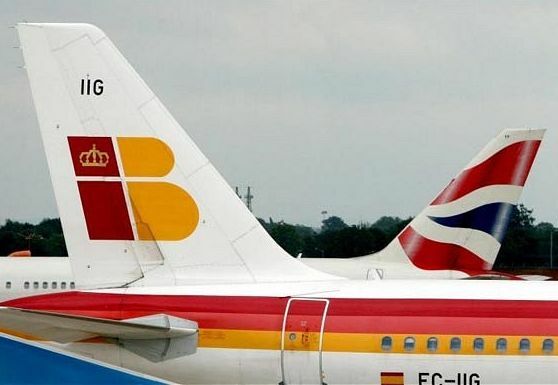 Spanish-centred global travel industry technology group Amadeus has signed a new long-term content agreement with London-based IAG (International Airlines Group), one of the world’s largest airline groups. 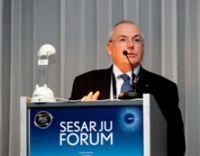 Data company OAG’s latest airline capacity update reports that airlines worldwide will see an increase of 2% in flights for April 2013 versus last year, and an increase of 3% to seats. This means carriers worldwide will operate 11.2m more seats, equivalent to 374,000 additional seats every day compared to April 2012, with the bulk of this growth continuing to be seen in Asia with increases of 8% to flights and 9% to seat capacity versus last year. 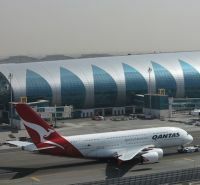 Dubai Airport has a second tenant in its brand new futuristic Concourse A. Qantas has joined its new partner Emirates in the massive half mile long building. The airline has daily flights to and from London to both Melbourne and Sydney. 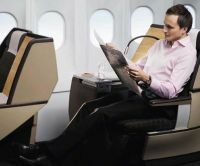 Part of the Lufthansa Group and a member of Star Alliance, SWISS is in an expansion mood. Daniel Moylan has led the Mayor of London’s work on aviation policy for over two years, championing the case for construction of a new hub airport to serve London and the UK. He spent over three years as Deputy Chairman of Transport for London (2009 to 2012), where he oversaw a massive programme of investment in transport infrastructure and led the Mayor’s work to improve London’s public realm. He remains a Member of the Board of Transport for London. He also served as Chairman of the London Legacy Development Corporation during the 2012 Olympic and Paralympic Games. Daniel has been a Conservative councillor in the Royal Borough of Kensington and Chelsea since 1990 and was Deputy Leader of the Council from 2000 to 2011. 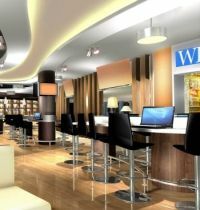 Stansted and Aberdeen International have become the latest UK airports to introduce a free wi-fi service in their terminals in order to improve the passenger experience. 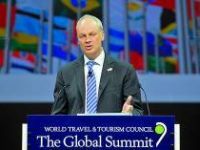 Tomorrow (8 April) sees the start of World Travel & Tourism Council’s Global Summit in Abu Dhabi. Keynote speaker will be former US President Bill Clinton. 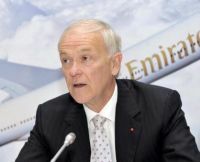 Speaking in Dubai at a press conference on 1 April to welcome the Emirates-Qantas partnership, Emirates’ President Tim Clark said that problems concerning delays at immigration “were a matter of high priority which we would hope to solve within weeks”. The gathering was held in the large lecture theatre within the new and impressive Emirates headquarters building. It may sound incredible, but will appeal to a certain type of budget passenger; Luton to Dubai might be possible later in the year. Wizz Air, the Budapest-based carrier has announced it is to become a launch airline when Dubai World Central will open its doors to passengers on 27 October 2013. Direct flights to Dubai will be from Budapest, Bucharest, Kiev and Sofia. The inauguration of Qatar's massive new international airport at Doha last Monday (1 April) was sensationally delayed at the very final moment. Israel gets an annual four million tourists, but most – whether Jews, Christians or anyone on business – stay in Jerusalem or Tel Aviv, if not sunning it down by the Dead Sea or Red Sea. 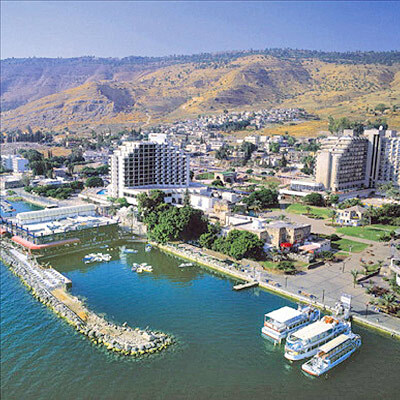 Very few relax on the unspoilt Sea of Galilee – also known as Lake Tiberias or Kinneret – with an almost oval circumference of 35 miles. 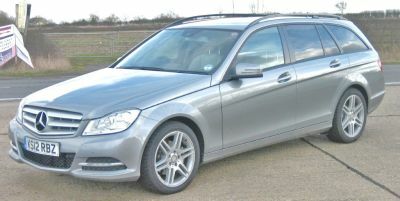 During a permanently busy testing schedule one does not expect many surprises and this early encounter with the latest Mercedes-Benz C-Class estate actually provided a major one. Invariably an estate car is primarily a competent sort of vehicle, hardly one to excite and certainly not when it is powered by an average sized turbo diesel engine. First, as I got into the car, it felt familiar, everything fitted me comfortably and most of the functions were immediately understandable. Literally I felt at home. Party goers at The Palm for the Emirates – Qantas inaugural last Monday (1 April) were amazed to hear that the (soft) opening of New Doha International Airport had been postponed. One serious airline expert suggested that it must be an April fool's joke. National carrier Air Namibia is to go from four services per week to daily from Frankfurt starting 26 June. The 11hrs 20mins flight is operated by a two-class Airbus A340. 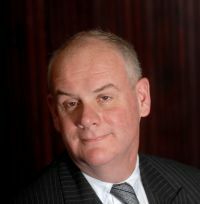 Regulars to the Aviation Club on 24 April should be in for an interesting time with the speaker David McMillan, now Chair of the Flight Safety Foundation, but formerly Director of Eurocontrol (2008-2012). Held at the Institute of Directors, Pall Mall, London, the luncheon coincides with the Club’s AGM. 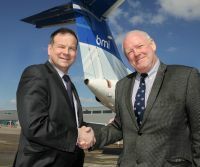 Frankfurt has become the latest German city on Bristol Airport’s destination map with the introduction of a new six times a week bmi regional service to the city. The service marks the return of a direct link between Bristol and Germany’s financial capital after a gap of almost four years. From 13 May it goes double daily. 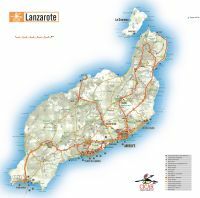 The most south easterly part of the United Kingdom, now has a direct link to the rest of the world. Last week KLM introduced a twice daily service from Manston airport (MSE) to Amsterdam with access to 190 destinations worldwide. 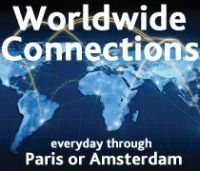 Passengers in transit at Charles de Gaulle Airport in Air France terminals 2E and 2F can now benefit from new connection routes to their departure lounges that are direct, simpler and quicker. Nuremberg will shortly become Pegasus Airlines' sixth destination in Germany, alongside Berlin, Cologne, Dusseldorf, Munich and Stuttgart. 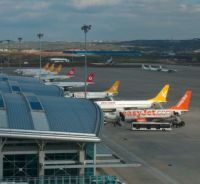 The new flights' launch on 17 June 2013, will depart Istanbul on Mondays, Wednesdays and Saturdays, returning from Nuremberg on Tuesdays, Thursdays and Sundays. British Airways has published its summer schedule 2013 highlighting Spanish destinations. 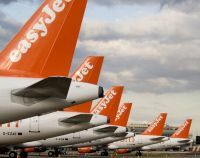 easyJet has launched the airline’s winter programme 2013/2014 offering 71,000 flights between 27 October 2013-29 March 2014. All are available on the web.